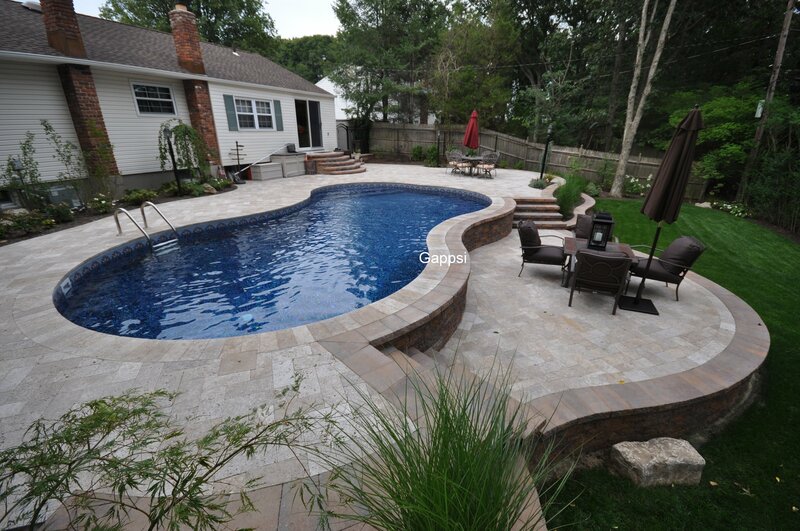 Vinyl swimming pool built in Smithtown, NY by Gappsi. This pool was specially designed with 10″ concrete walls and a footprint-free bottom. The multi-level patio was designed to work alongside the natural contour and slope of the hill. The retaining walls and steps were built with Nicolock Oyster Blend. The pool coping and patio are 6″x12″ travertine pavers.